For some people, setting a budget is just one more exciting thing to do when planning their European holiday. Mainly because it gives them an opportunity to dream about the castles and banquets they’ll be spending their euros on. Then there are others who dread the whole ordeal – probably the same people who haven’t visited the dentist in a year. Regardless of which type of person you are, we can all agree that taking the time to work out a budget is better than running out of money halfway through your trip. That either means an embarrassing phone call to your folks back home, or ending the trip with a huge credit card bill. So, let’s work together on this one! 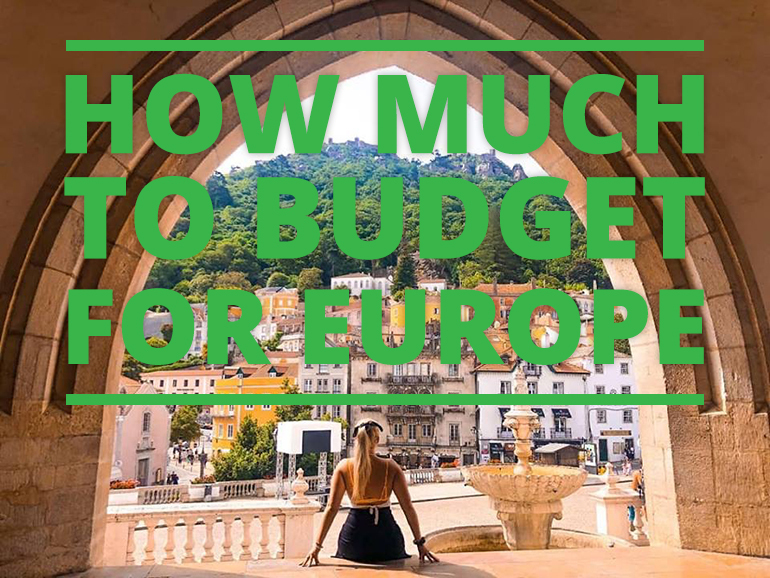 We’ve highlighted some important expenses from a European summer holiday and created some mock budgets to help you work out how much money you need to go to Europe. 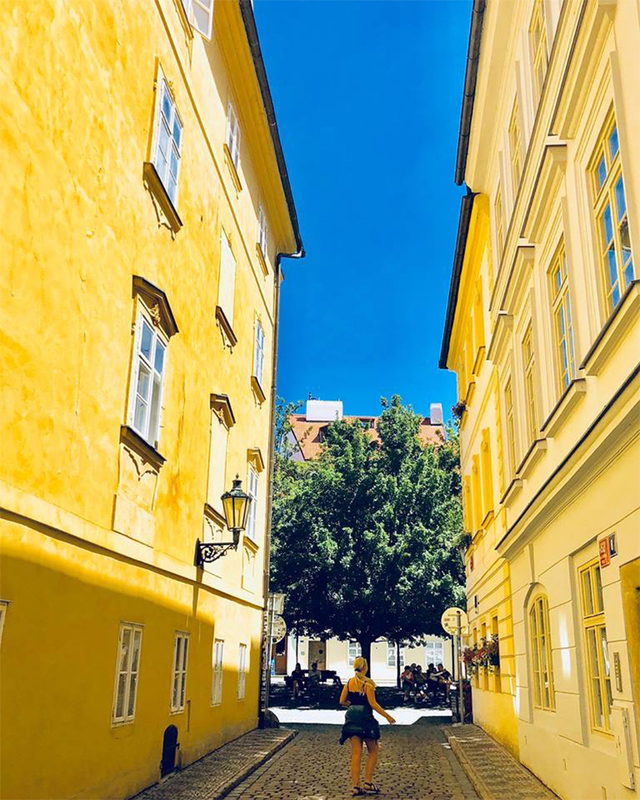 Whether you’re heading to some of the cheaper European countries in Eastern Europe (think Poland, Lithuania and Slovakia), or wanting to spend up big in more exxy countries like Switzerland or Luxembourg, we’ve got you covered with budget tips. *Ain’t nobody got time for that. First up, you need to figure out what you need to budget for. Include the big-ticket items like your flights, accommodation and transport. Then make sure you include your pre-travel costs, like visas, travel insurance and immunisations. Some people try to save by avoiding travel insurance, but it’s an essential part of your trip – keeping you safe abroad and giving you invaluable peace of mind. • Where you’re going – for flight costs. • How long you’ll be away – for nightly accommodation costs. • How you want to get around – for transport costs. It also helps to budget with those you’ll be travelling with, so you can work out what costs are solely yours and what you can share. It’s also a good way to set out what type of holiday you want to have. If you’re a budget traveller who wants to hostel-hop your way through Europe, your budget will be very different to the traveller that wants 5-star, all-inclusive, buffet breakfast, city-view, luxury hotels. Let’s take a look at a few examples of different kinds of holidays you could have in Europe, and address some of those big-ticket costs that need to be budgeted for. This romantic pair is travelling through London for 2 weeks during its beautiful, warm summer. Between them, they’ll need just under $9,000 NZD for flights, accommodation and daily transport. This lucky vagabond is travelling Solo (not even Chewbacca is invited). They’re hitting up France, Spain, Italy and Greece for a whole month of adventure. Depending on how frugal they decide to be, they’ll need about $4,500NZD for flights, accommodation and public transport. Don’t forget to budget your meals and adventures though! This wonderful family of 2 adults and 2 kids (under age 11) is going on a cruise to visit Barcelona during the school holidays – lucky kids… The parents will need to save around $13,500 NZD worth of pennies to afford the flights, cruise and accommodation for this trip. Note that these are your core expenses. Other costs from travel insurance, daily expenses like food and drinks, sightseeing, activities and all those shopping trips aren’t taken into account. We’ve looked at the big stuff, now let’s get into the intricate expenses. First of all, a good holiday budget will keep in mind where you can tighten up on expenses – and where you can splurge! 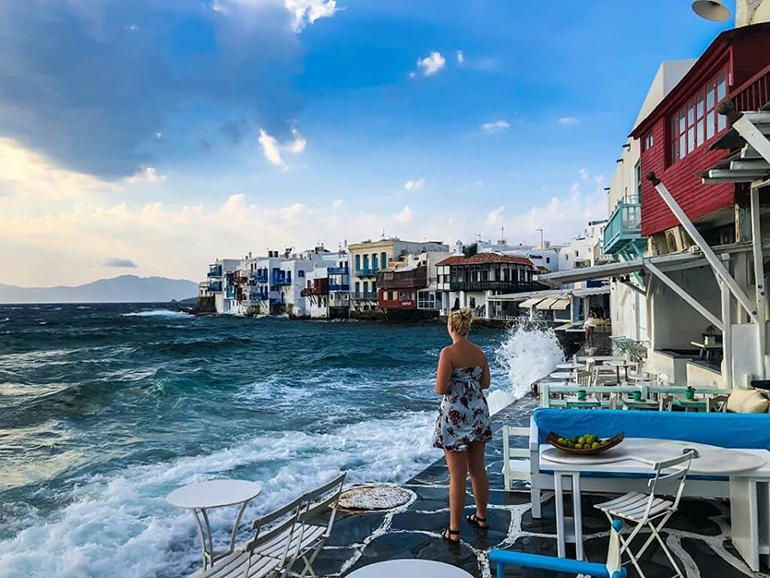 Having this type of flexible holiday budget is essential because you never know when an opportunity might come up that you don’t want to miss out on. NZ$100 to NZ$150 per person, per day. This will cover sightseeing, food and drinks, shopping and other nitty-gritties. But of course, there are heaps of ways to cut down on this cost – or add to it – to create your preferred budget. It helps knowing exactly what’s included in what you’ve booked. Does your hotel include breakfast in the per night cost? If it does, then that’s one less thing you need to budget for. Or does your accommodation have kitchen facilities? That gives you a cheap’n’easy, DIY meal option. You can also look for other ways to save. Can you purchase a public transport pass, rather than buying single tickets (as usually, this will offer some savings)? Or can you purchase a sightseeing pass that includes entry costs and public transport? If you can, why not go for it and save. Well, that was probably a lot to take in, so let’s finish up with some easy-peasy dot points. It can help to have a pre-agreed cost for things (pre-agreed with yourself, or your travel companions if you’re splitting costs). This avoids arguments, stress and overspending. Put time and research into your ‘per day’ budget and include the things you really want to do. Once you know the costs, you have a goal to save for. Don’t forget to factor in your pre-travel costs (e.g. travel insurance, immunisations and visas). Budget for cheap eats some days so you can gorge other days. From enjoying a glass of champagne at the top of the Eiffel Tower to devouring food at Germany’s food stalls. Don’t forget those sneaky costs (e.g. transfers, tours and tipping). If you still need help with setting a holiday budget, our travel money experts have a handy budgeting tool available in any of our 165 stores across Australia and New Zealand. *Flight costs based on search from www.flightcentre.co.nz and are indicative costs only, based on prices available on 10 August 2018. ^Accommodation costs are based on an average per night price for budget, moderate or luxury hotels, as indicated in the table. ~Cruise cost is based on search from www.ncl.com for a 7 night Western Mediterranean cruise onboard Norwegian Epic, departing Barcelona in May 2019, and is an indicative cost only, based on prices available on 10 August 2018. **Rail Pass cost is based on search from http://www.eurail.com and is an indicative cost only. COST COMPARISON TABLE: All costs are based on estimated approximate costs from major metropolitan cities in each country. “From” costs indicate costs that start from the indicated price and may be higher than shown. Average prices indicate a typical estimated cost you would pay for the indicated item. Prices may vary from time to time, and in different cities and towns within each country. Cities included are: London, United Kingdom; Rome, Italy; Paris, France; Berlin, Germany; Barcelona, Spain; Athens, Greece; Budapest, Hungary; Prague, Czech Republic; Amsterdam, The Netherlands. This blog is provided for information only and does not take into consideration your objectives, financial situation or needs. You should consider whether the information and suggestions contained in any blog entry are appropriate for you, having regard to your own objectives, financial situation and needs. While we take reasonable care in providing the blog, we give no warranties or representations that it is complete or accurate, or is appropriate for you. We are not liable for any loss caused, whether due to negligence or otherwise, arising from use of, or reliance on, the information and/or suggestions contained in this blog..